Hubspot vs SeoSamba: who has the best marketplace? HubSpot's marketplace consists of a templates library, a list of certified services and a host of apps to hook up HubSpot COS and various online services providers. 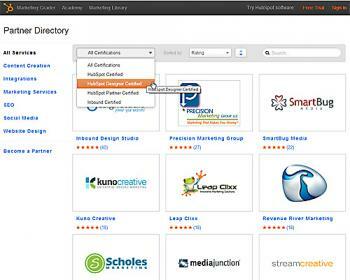 HubSpot provides a library of 500+ templates available for various fees ($30 -$1000) depending on complexity. For any technical intervention beyond regular support, which Hubspot is reknown for, users can pick and choose amongst hundred of certified partners to carry out development. Finally, Hubspot provides about 200 Apps in its marketplace that can be integrated for extending websites, has opened an API for developers and offers free information throught its Marketing Library and Academy. SeoSamba provides a marketplace of plug-and-play extensions for SeoToaster users and a full open source development platform for developers. 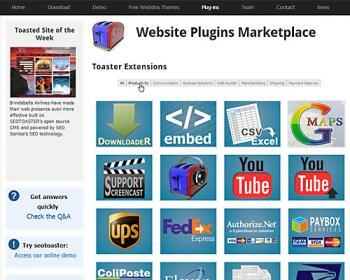 SeoToaster's marketplace provides a wide array of turnkey plugins and ecommerce extensions to add functions and services on the fly for a low flat or monthly fee. SeoToaster users interact with the software team through Q&A, forums and social channels for ongoing technical support and updates. They can also download free website themes, templates and code snippets for their websites. Open to all developers, SeoToaster's new website gives access to Ecommerce REST API, collaborative platform and Plugin SDK to help them create and market custom plug-ins from simple widgets to high-end applications tighly integrated with the open source engine. While SeoSamba's community and marketplace for its CMS SeoToaster is just starting to rise, HubSpot has established a large community of users and secured partnerships with many services providers. On the other hand, most resources provided by SeoSamba are free or available for a low fee, not mentioning the open source framework as opposed to Hubspot's proprietary approach. Given its leadership stance, Hubspot rightfully wins the match though by a slim margin, its extensive phone support barely compensating for the lack of a true community of developers.